Are your kids starting school soon? Mine already started this week! If you are like me, the start of the school year is a bit of a let down. After enjoying a fun summer of learning together, my kids suddenly take all the supplies we have so carefully gathered and disappear inside that place called "school". Don't be fooled though! Your kids need you to be involved during the school year, at least as much as they did during the summer. As a teacher, always I knew that parents played an irreplaceable role in their students' academic development. Ten years later, I am even more convinced that in most cases, parents make the difference in whether or not students are successful. 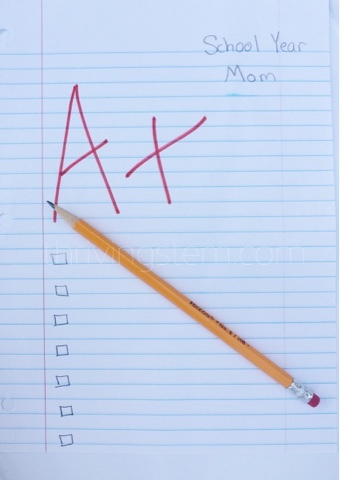 Here are ten ways you can be an awesome public school parent (mom or dad!). Why not try a few of these this year? 1. Before your child heads out, review school policies and procedures. This suggestion comes from my own child who understood that last year, he was a step ahead of classmates who struggled to follow protocol. Talk about how the school's policies coincide with your family's values. Review how your child should handle a situation where they are being harmed, or disagree with authorities. Make sure he knows that you always want to know when he has had any issues at all with other students and especially teachers and staff. 2. Make sure she has a good breakfast. There is nothing wrong with simply putting money in your child's account and dropping them off early enough to take advantage of the cafeteria! It is important though, that your student has something in her stomach. It is hard to think well or enjoy anything if you are hungry. While some adults do not need much food, growing, active kids do. 3. Write a note and put it in your child's lunch box or notebook. A personal reminder that mom or dad is thinking of their child will build your child's self confidence and help him determine to do his best. We write lunch box notes because we know our children will be looking for them, and it is a way we stay connected. 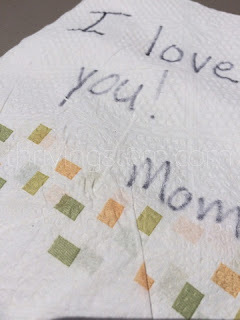 My husband and I write "I love you"'s or simple encouragements, but if you want to get fancy, Becky at Teach Mama has a whole series of lunch box note ideas. 4. Be sure that your child has the ability to be independent during the school day. For younger students, ask yourself, "Can she use the bathroom without coaching?" "Can she fasten her pants and shoes?" If not, buy some clothes that she can manage. While you are at it, have her practice carrying her own plate from the kitchen. For older students, consider if they need a track phone, or a practice run using the public bus system to get home. Making sure that your child has some of these skills in place ahead of time frees up her emotional and mental concentration to focus on school work. 5. Consider your child's sensory needs. Let's face it, school can be a nerve wrecking environment. (I am an affiliate for Project Sensory, which means I can earn a commission for any referrals from this post.) This was actually one of my children's suggestions as well. A particular nervous habit was popping up, so I went to Project Sensory and purchased the item needed to replace the bad habit with an acceptable alternative. My child may not even use the tool at school, but having it available at home has provided the needed boost in confidence. The look in my child's eyes when the tool was made available was priceless. It was a tangible way say, "I'm committed to your success." 6. Celebrate the start of school. You want your child to know that you are excited about the growth they are going to experience this year. Your celebration does not have to be fancy. The simple gesture of buying a new shirt to wear on the first day, or snapping a first day photo communicates to your child that what is a big deal to him is a big deal to you! 7. Know the teacher's educational goals for the year. At our children's school we receive a list of objectives early in the year. If the school year gets under way and you have not heard anything about such a list, or miss "curriculum night" do not be too shy to contact your child's teacher(s) and ask what the educational goals are for this year. Your child's teacher will be thrilled to hear from you! Once you have a chance to look at the goals, ask for clarification if needed. Educational objectives are known to contain some jargon. Once you understand what your child is supposed to be accomplishing, you can plan an active role in making sure the goals are reached. 8. Ask the teacher what you can do to support him or her. Public schools are notoriously short on classroom supplies and some children are not lucky enough to have parents who can make sure they have everything they need. Your child's teacher may appreciate donations of extra snacks, tissues or pencils. There are probably some volunteer slots that need to be filled. You will not know unless you ask. 9. Show up. This is so simple that some parents miss it. Your presence at school events tells your child that what she does is important. It also gives you a better perspective on what is going on at the school, allowing you to guide your child as they navigate difficult situations. 10. Volunteer. The Kid Bloggers for Public Education group is already planning a whole set of posts about volunteering, so I will not get into detail. I hope you will read the posts and get involved. Volunteers are often the difference between an excelling school and a struggling school. Finally, a bonus idea, every parent can do. Celebrate your child's success. From surviving the first day of kindergarten, to learning read, to passing a tough algebra exam, to graduation, your child needs to know that you are proud of what he or she has done. Your approval will motivate child to over come the challenges yet ahead. So what are you doing to do to support your child this school year? Do you have ideas I did not mention? I'd love to hear them! Leave them in the comments. This school year, I am thrilled to be working with a group of outstanding bloggers to address topics of interest to parents of public school students. Look for our series on Homework, September 4. Today, you 'll want to take a look at these great Back to School posts. Great ideas! We follow/implement several of these. As a SAHM I am very involved in the kids school. My husband who has a busy work schedule makes it a point a few times a year to have lunch with our kids. That's great! I am hoping to get more involved this year. Just showing up for lunch occasionally is meaningful for the students to though. I love your list. Research shows again and again that parental involvement is a great predictor of school success. Thanks Natalie! Yes, and even a little bit of involvement can go a long way. So many good ideas! I've struggled with #7 over the years, because let's face it, kids aren't the best at telling you what they're learning and our school doesn't have a curriculum night. Ha! Ha! Yes, if it was dependent on my child I would believe they don't even try to teach anything. I'm happy that he enjoys school though. I wonder how the teachers would respond if you asked for a a quick summary of their goals? Most teachers have to have written goals and objectives both. I know I would not have minded copying and pasting that into an e-mail for a parent who cares enough to ask. I believe parents make the different in their child's school success too. One thing I love to do is read the papers my daughter brings home. It's a small way to show that I'm interested in what she's doing! That's a great idea! Very easy to do too.